Come experience the finest art, music, shopping & dinning in Bastrop's Historic Downtown during the First Friday Art Walk. Come out and enjoy extended shop hours, local artists, and great deals. 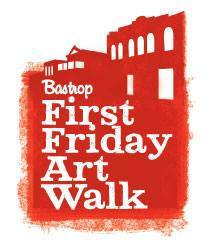 Look for the Bastrop First Friday Art Walk banners outside participating shops!